Grand Canyon University will welcome a record 17,500 students to west Phoenix this semester on a campus that's rapidly growing. Construction projects worth millions of dollars are underway. 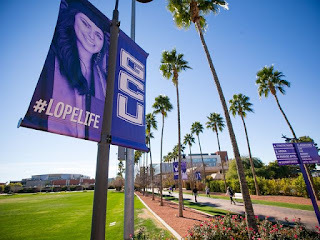 More dorms, parking garages and a soccer stadium are ready for students at the campus at 33rd Avenue and Camelback Road. Other developments stretch east to Interstate 17, including a renovated hotel and office complex.